Four European telecoms have come forward claiming that Nokia Lumia smartphones simply aren’t good enough to compete with the likes of Samsung’s Galaxy handsets and Apple’s iPhone. Operators also noted high prices and a lack of marketing budget as other reasons why the phones aren’t selling very well in the region. Reuters noted that at a telecom store in Paris, Lumia smartphones weren’t prominently displayed alongside other handsets. A sales associate was seen offering one shopper an iPhone and then a selection of Android phones instead of a Windows Phone solution. Part of the problem in Europe seems to be a lack of awareness about the Lumia series. One executive at a European operator told Retuers that nobody comes into the store asking for a Windows phone. Some operators are reportedly frustrated that Microsoft isn’t providing more cash for marketing efforts. Nokia doesn’t seem to be suffering from the same problems in the US. 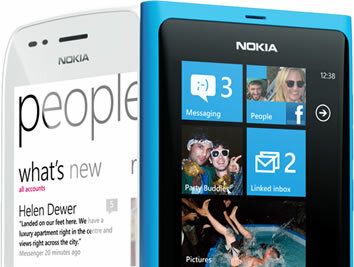 CNET noted that the Lumia 900 was at the top of Amazon’s mobile phone list last week and that a Nokia spokesperson told them that customer response to the 900 has been very positive. Some outlets have even sold out of the handset but more phones are being manufactured and shipped to keep up with the demand, the rep said. Even still, it’s said to be tough to find a sales associate that would recommend a Windows Phone over an Android or iPhone. An informal poll at a few Manhattan AT&T stores found zero sales people willing to recommend the Lumia 900.